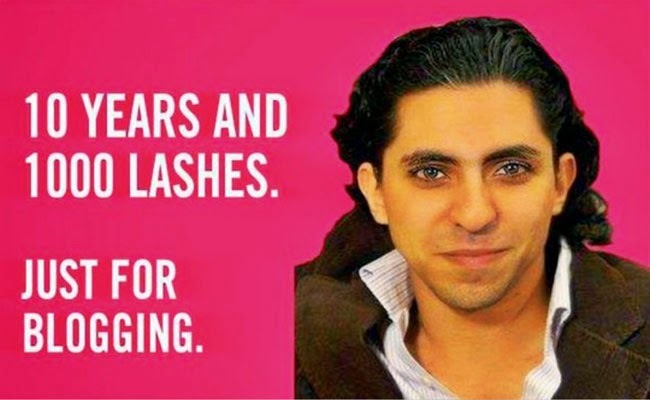 Saudi Arabian activist and writer, Raif Badawi had been sentenced to 10 years of imprisonment ans 1000 lashes due to alleged insult to Islam. The sentence had been effective since October 2014 and is still under its way while the severe punishment had caught the attention of many in other countries. On September 2014, Badawi’s appeal had been denied and was sentenced to be imprisoned for 10 years and be lashed for 1000 times in installments. Fifty lashes will be given every Friday in public. He was also sentenced with 10 years of travel ban after serving his imprisonment and a fine of 1 million riyal or $266, 631. Witnesses of the public lashing were forbidden to take photos of the punishment. On January 9, 2015, Badawi was lashed near the Al-Jafal mosque. A police car had taken Badawi at the site and an official had then read his charges. The news of the said punishment had circulated among anti-violence and anti-torture groups and movements. On their official website, European Union had voiced out that the corporal punishment given to the blogger had been unacceptable and against the dignity of human. As part of 30th year of adoption of the United Nations Convention against inhuman and degrading torture and punishments, the European Union had strongly reiterates its objection to such treatment or punishment. European Union is calling out for the officials of Saudi to suspend the punishment of lashing that is considered by relevant international conventions as a punishment that is inhumane. Badawi had founded the website, Liberal Saudi Network dedicated to encourage political and religious debate. He aims for his country to be open for the respect of freedom of religion, belief, expression and especially for the women’s rights. Saudi Court considered his actions as blasphemy against Islam.